Designing a prestigious 10-year anniversary book. To celebrate its 10th anniversary, the European Defence Agency (EDA) asked EU-turn to produce a book that honours the legacy of the Agency. 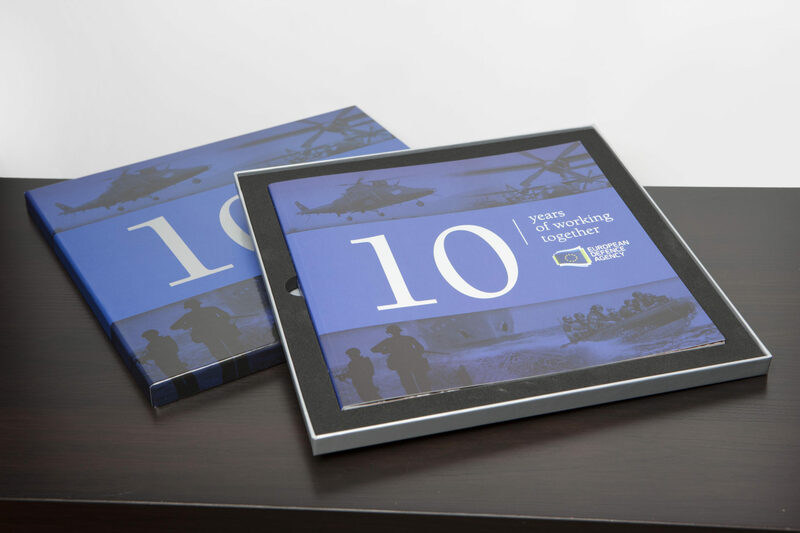 Titled “10 Years of Working Together”, this book was the result of several months of archive research, interviews, as well as external contributions from various high-level European defence experts. Together with them, EU-turn was able to create a piece of work perfectly presenting the Agency’s core values, missions, main achievements and goals. 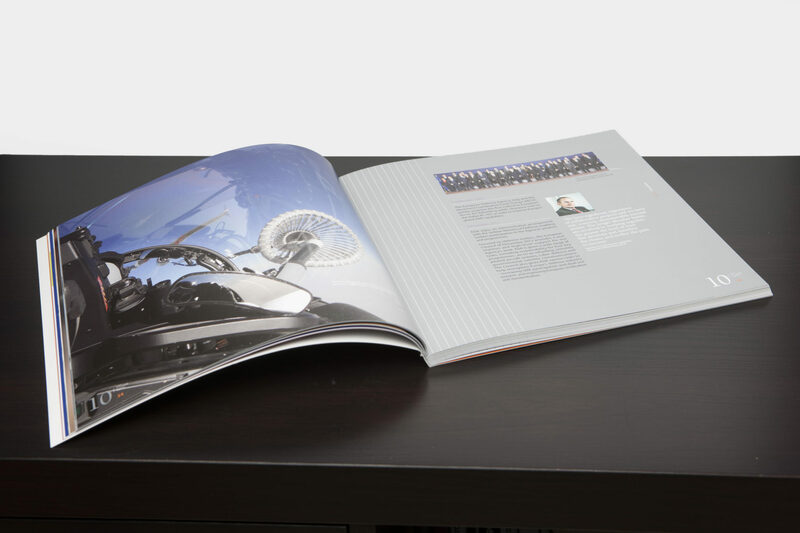 The luxurious precision of its finish makes each chapter of this book stand out. Full-page photos from the field, a special margin layout technique, silver spot colour, bespoke case… All in all, a stunning gift marking an occasion to remember.